The British passenger liner famously sank on April 15, 1912, sending more than 1,500 passengers and crew to their deaths. Titanic was on its way from Southampton to New York when it struck an iceberg and began to submerge into the Atlantic Ocean. More than 100 years on, many still dispute the official story, with conspiracy theories claiming the ship’s owner White Star may have been to blame for the tragedy. High Court judge Lord Mersey headed up an inquiry by the British Wreck Commissioner on behalf of the Board of Trade between May 2 and July 3 1912, in order to get o the bottom of who was to blame. After questioning more than 100 witnesses from White Star Line employees, government officials and survivors the final report was released on July 30, 1912. Its recommendations, along with those of the earlier United States Senate inquiry, led to changes in safety practices following the disaster. However, a secret document containing the names of two million Freemason members was made available for the first time in 2015, Netflix’s “Top 10 Mysteries and Secrets” documentary revealed. The Freemasons are a 300-year-old fraternity organisation of elite members that use secret handshakes, codewords and symbols to foster mutual trust among members. The papers confirmed that not only Lord Mersey, but even some of those who escaped censure were all part of the society. 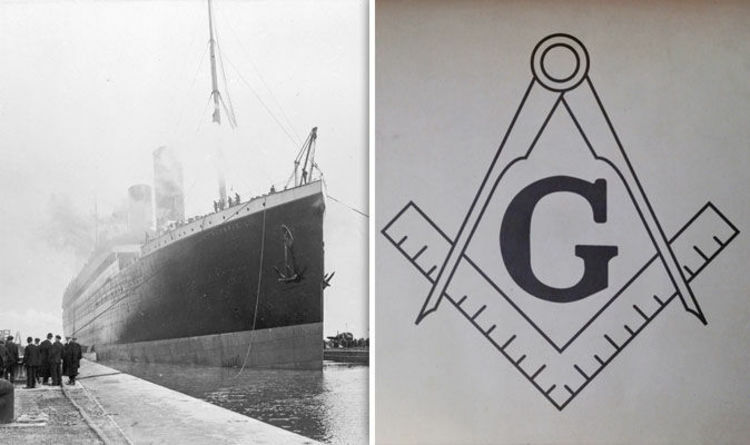 In addition, the President of the Board of Trade, who was to blame for the lax regulations that allowed the scandalously small amount of lifeboats fitted on the ship, was also a member of the Freemasons. Sydney Buxton was initiated at Limehouse in East London in 1888 when he was the local MP at the time, documents show. While Lord Mersey - John Charles Bigham - was, the records show, initiated in 1881 at the Northern Bar Lodge in London. The names of at least two of the inquiry’s five expert assessors – Prof John Harvard Biles, a specialist in naval architecture, and Edward Chaston, the senior engineer assessor – can also be found in the Masonic archive. Meanwhile Lord Pirrie, who was not the only chairman of the Harland and Wolff shipyard in Belfast which built the Titanic but, also one of the directors of White Star’s parent company, also appears to have been a Freemason.